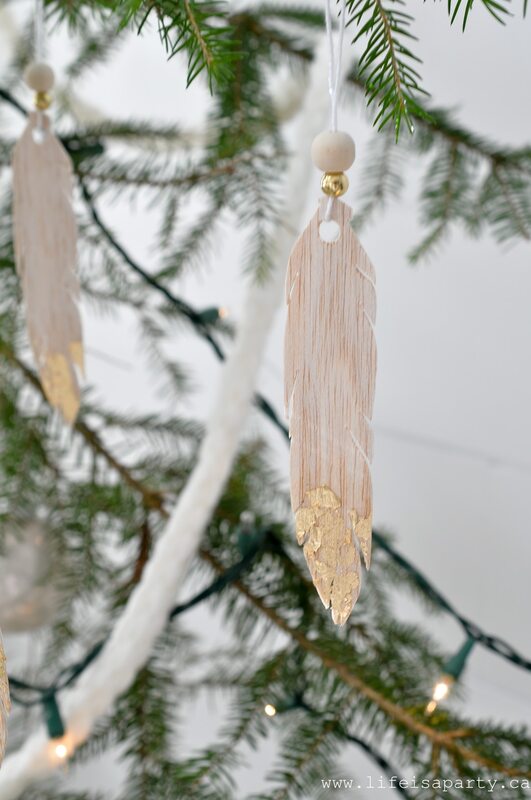 These pretty wood feathers couldn’t be any cuter. And they were really simple to make with the Cricut Maker. 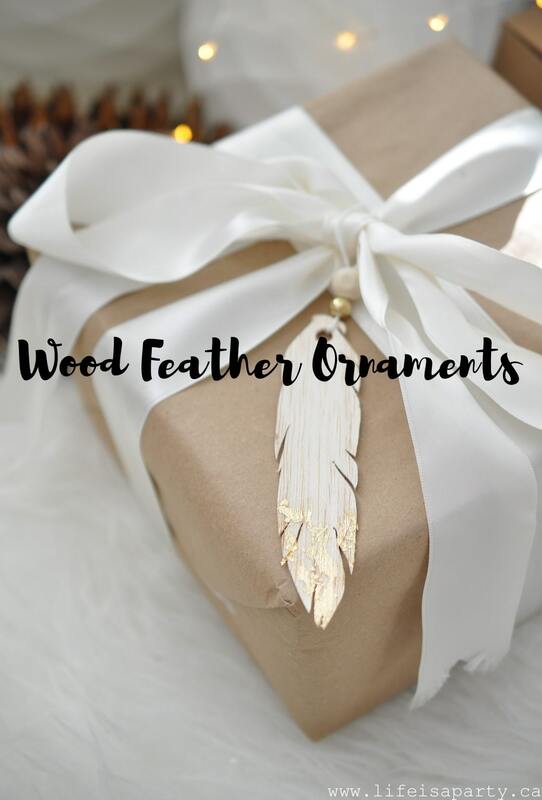 To make the wood feather ornaments, connect your laptop to your Cricut Maker and go to the Wood Feather Cut file in design space. 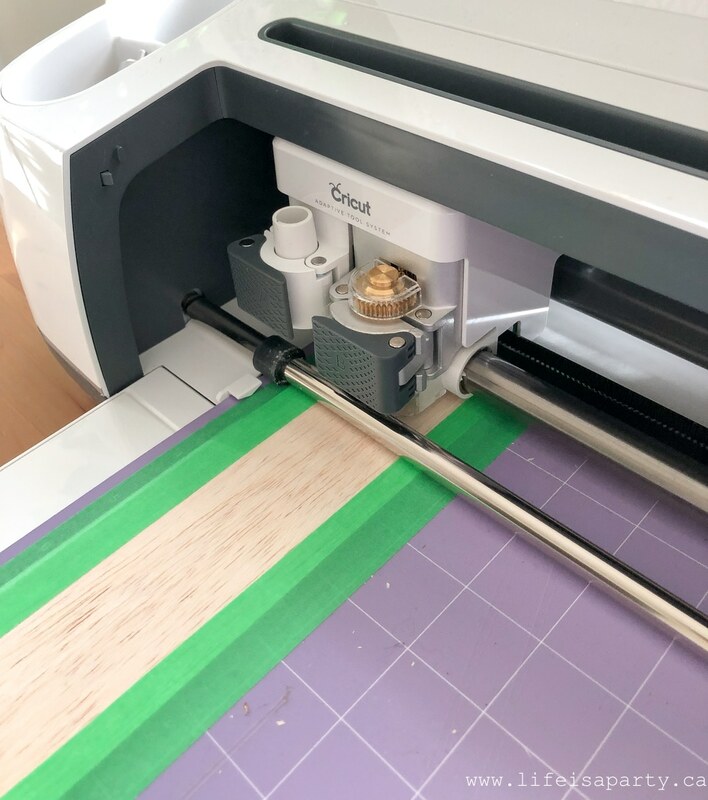 Put the knife blade into the Cricut Maker. 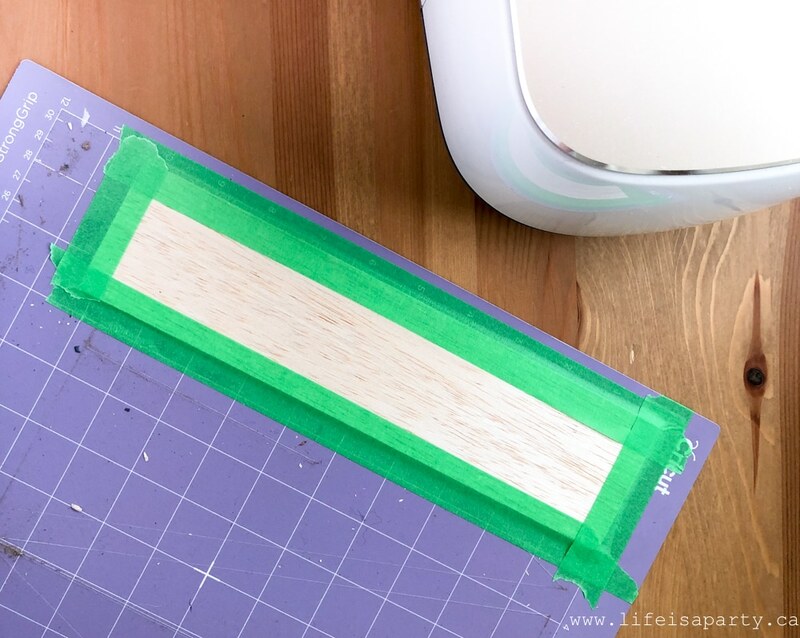 Attach the balsa wood to a strong grip Cricut cutting mat, and tape around the outside with masking tape for extra hold. 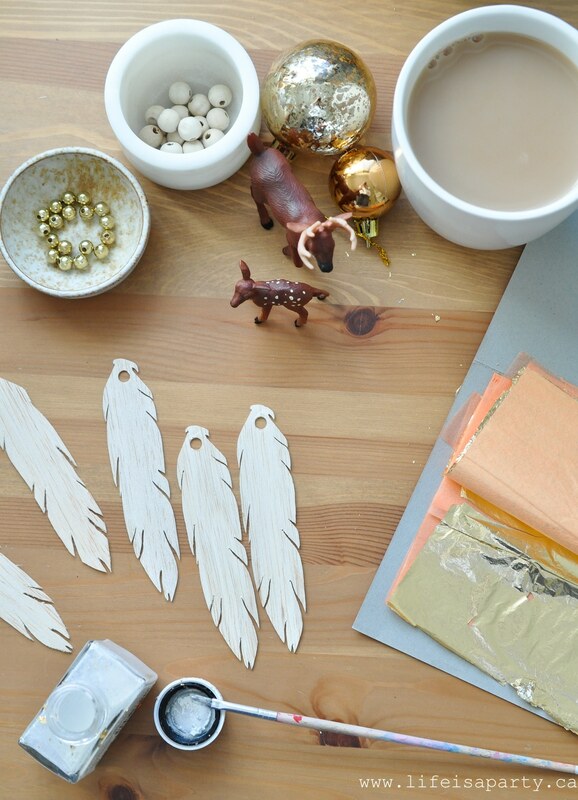 Cut out the feather with the Cricut Maker set to cut balsa wood -mine was balsa wood 3/32 inch. Once cut, remove from the cutting mat. 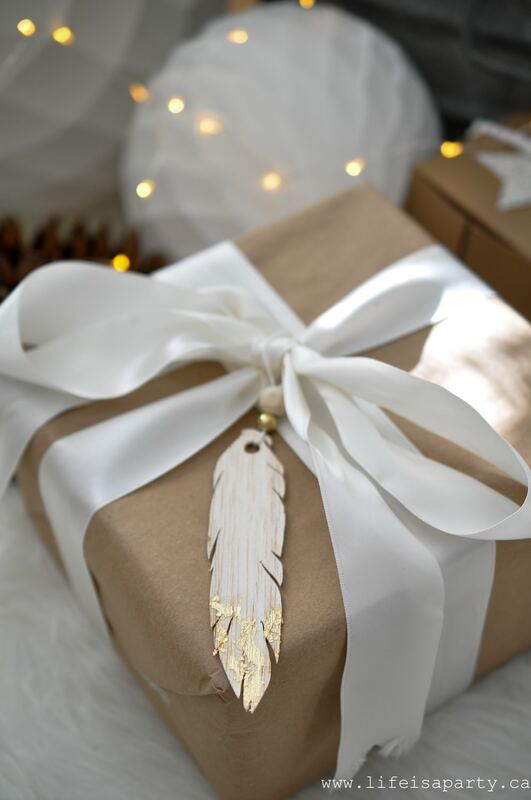 To add the gold leaf, apply the adhesive to the bottom of the feather and wait for it to go tacky -follow the instructions on the adhesive for timing. 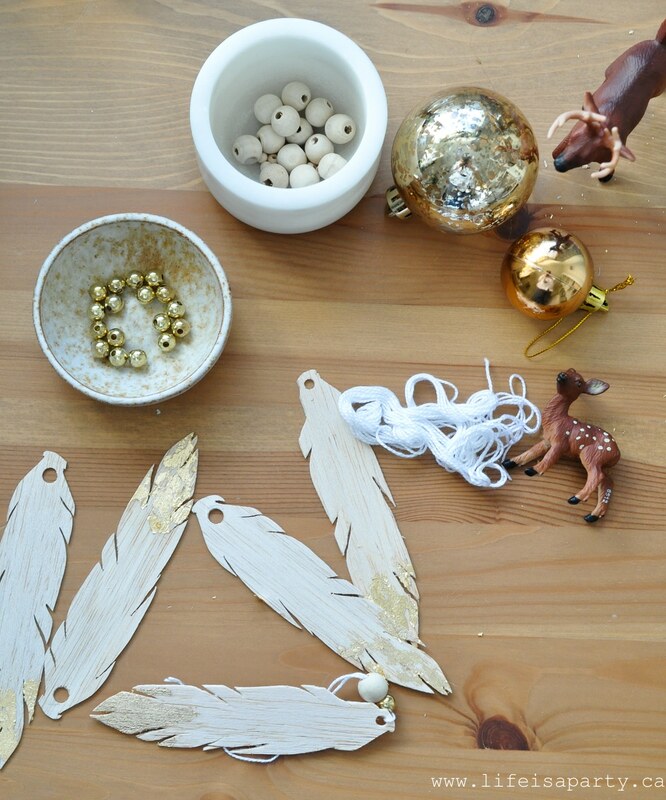 Apply the gold leaf, and remove any loose bits with a soft dry small paint brush. 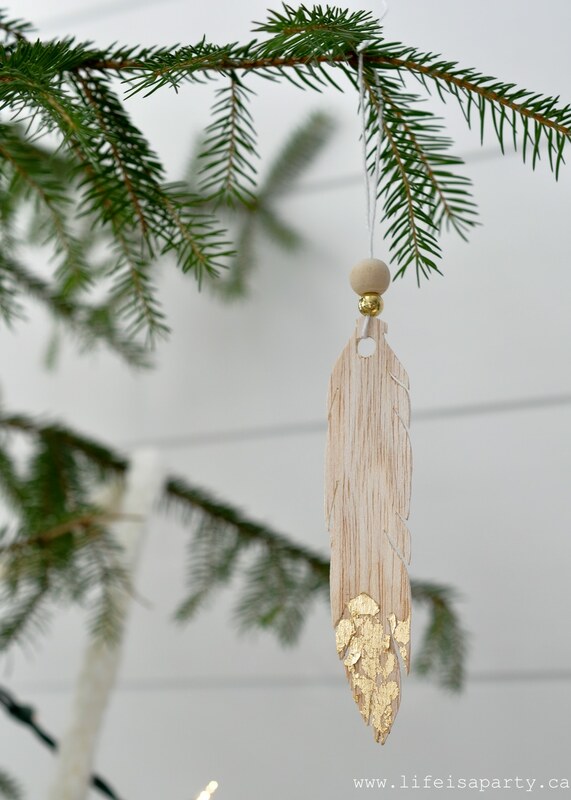 Add a string to hang it from, with a gold and a wood bead. 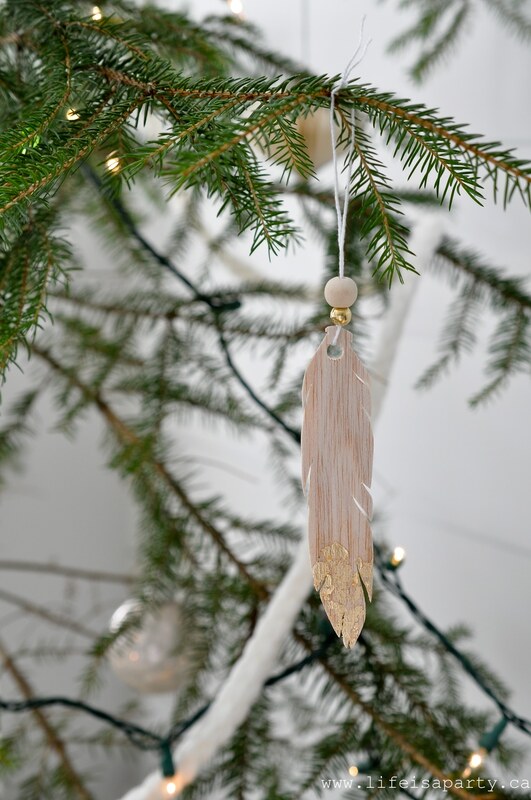 I love how these look on the Christmas tree, so delicate and pretty. They also look beautiful to decorate a Christmas gift. You could write the recipient’s name on with a sharpie marker if you wanted to. These would make a beautiful handmade gift also. 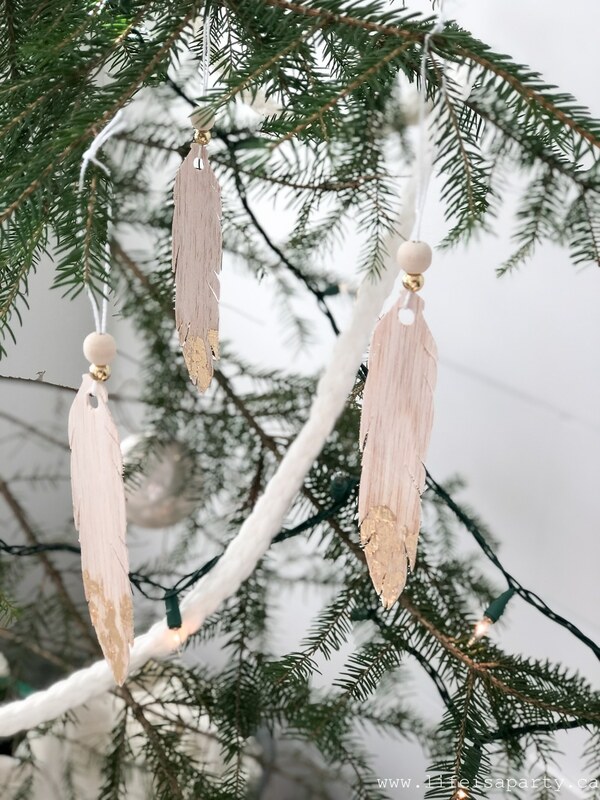 With these pretty wood feather ornaments, life really a party.